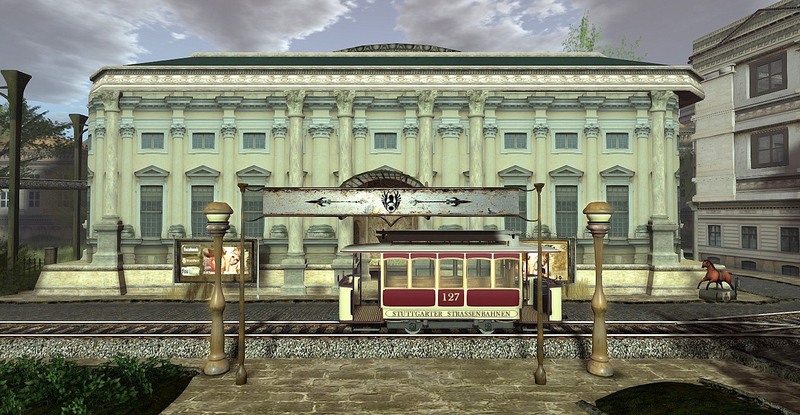 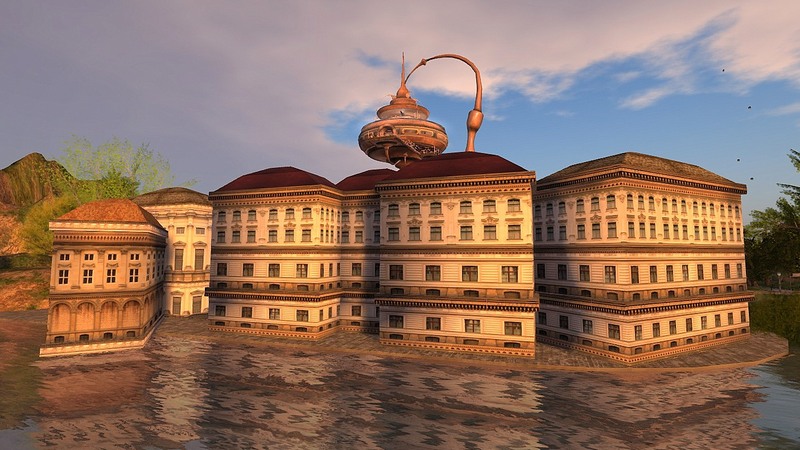 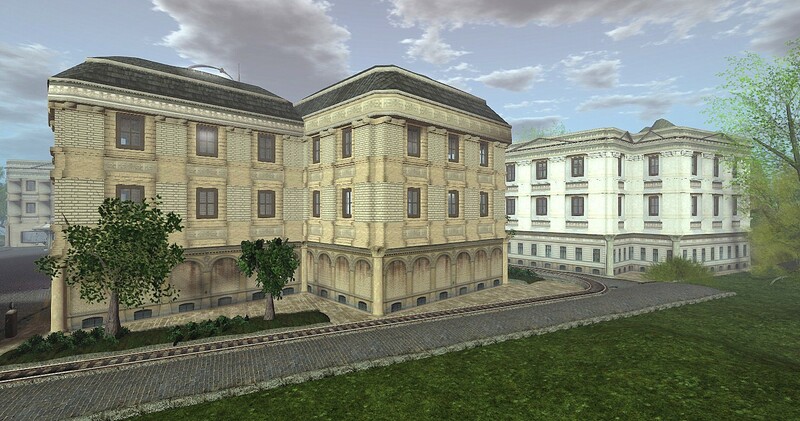 Stuttgart, Marienplatz is one of those rare and totally unexpected finds in Second Life that destination photographers are occasionally lucky enough to discover. 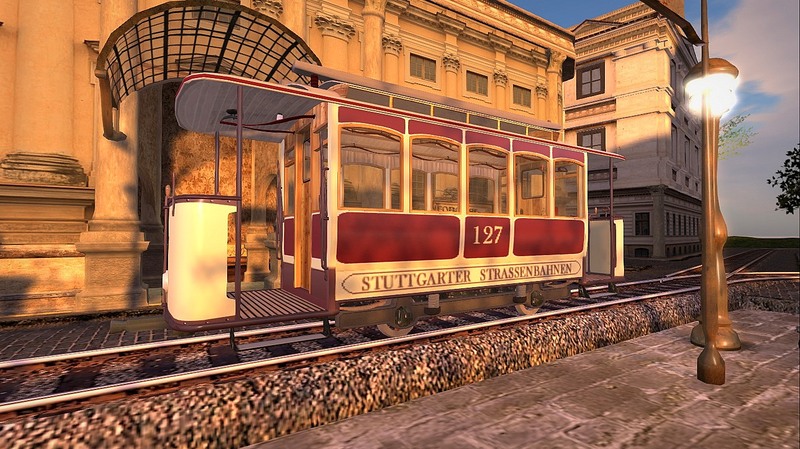 This destination reminded me of the actual city of Stuttgart, Germany which I was lucky enough to once visit. 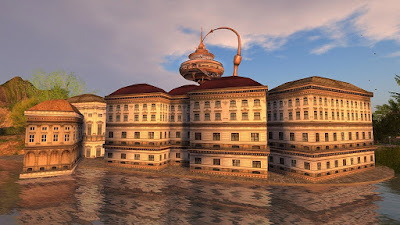 Both cities, the actual and virtual, are set directly in the middle of a hilly region, and are immediately comfortable and charming. 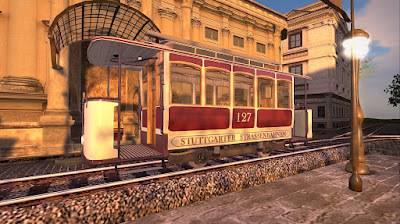 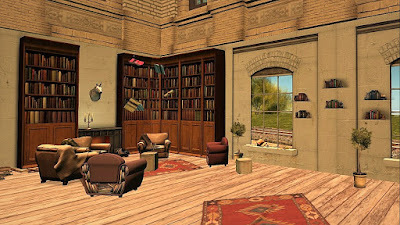 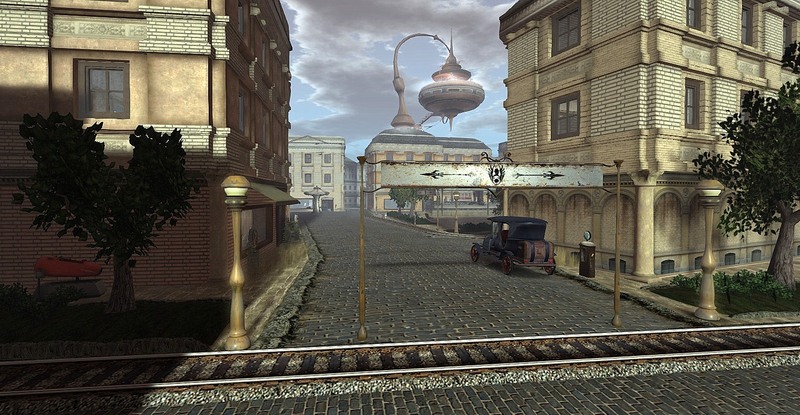 The Second Life Stuttgart has steampunk elements and is set in the year 1900- and has some very charming anachronistic touches. 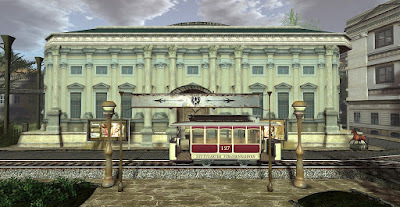 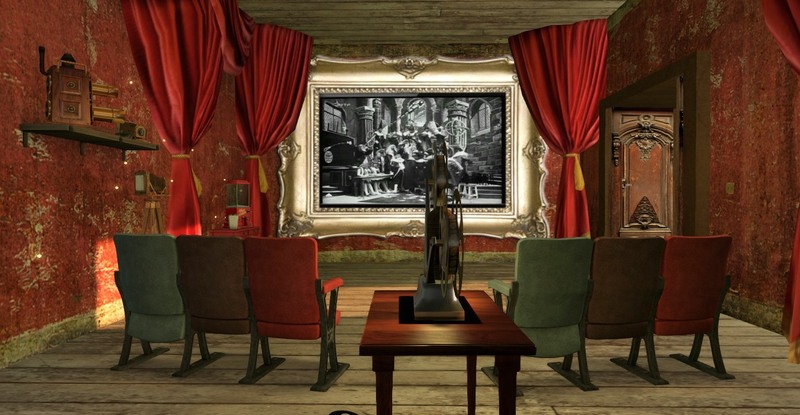 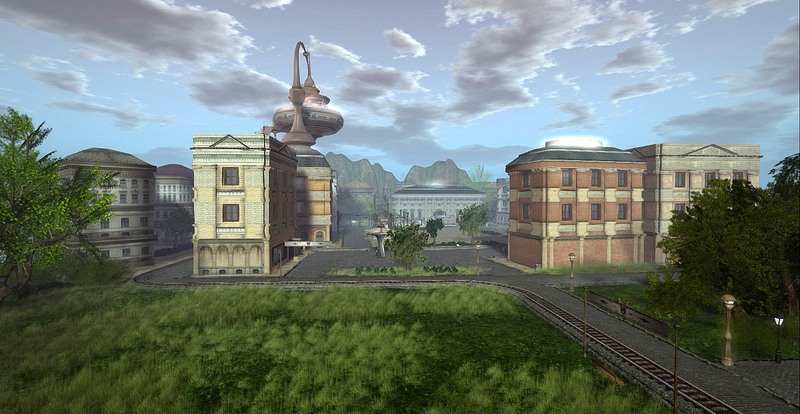 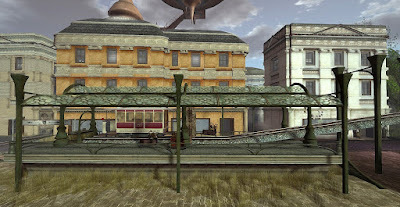 There is a working turn of the century cinema that is particularly well done A very extensive streetcar track winds its way throughout the sim -- but, unfortunately, could not make its way thought its first turn without returning to start. 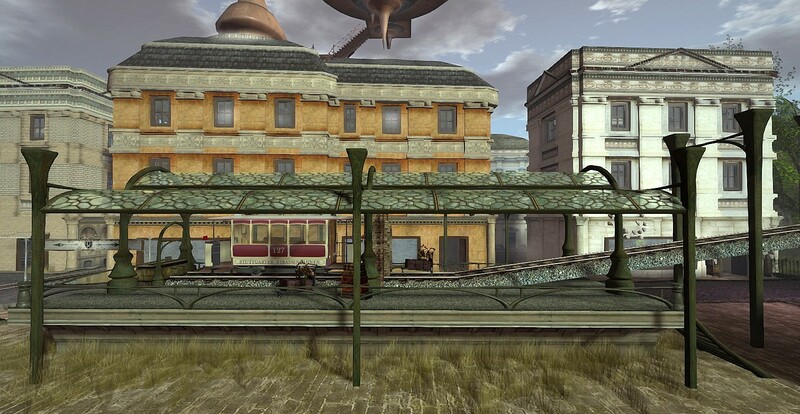 This is a charming and well designed destination -- but remains a bit of a mystery - I am not sure if there is much current visitation or usage. 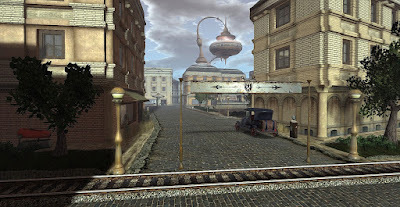 I highly recommend a visit for anyone who likes attractive and historic urban builds, and steampunk affectionados in particular.